A new challenge is about to be faced by the Marketing Authorization Holders of medicinal products. Since online tools are becoming a bigger part of our daily lives, the competent authorities are also moving forward step by step. As of 1st January 2018, the European Medicines Agency will require that all regulatory submissions for medicinal products authorized via Decentralized or Mutual Recognition Procedure will be provided in eCTD format. The aim of eSubmission is focused on the minimization of paper use during the exchange of information between applicants and National Competent Authorities and facilitation of business process. 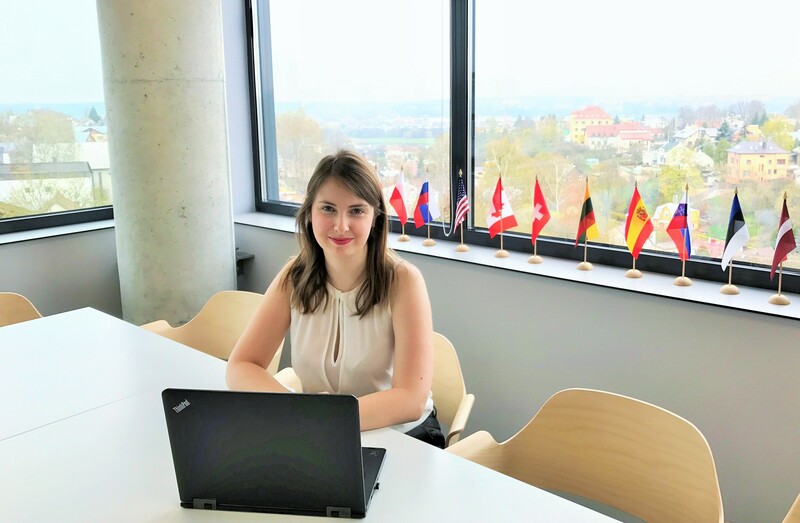 Biomapas Regulatory Affairs Specialist Lina Grubliauskaite, MPharm, shared her thoughts regarding eSubmission roadmap implementation and the upcoming challenges for Marketing Authorization Holders. 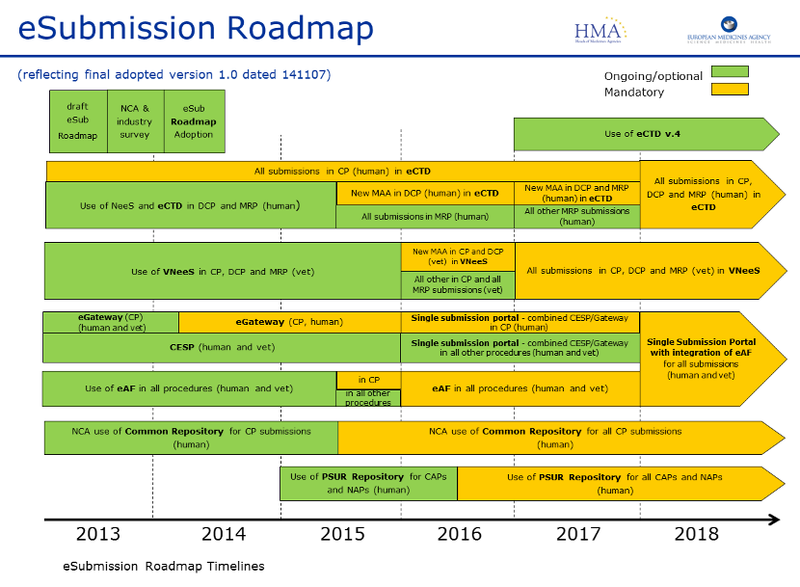 What is the current status of eSubmission roadmap implementation? L. G. Currently, EMA accepts only eCTD format for the MAAs via Centralized Procedure and all related submissions. Since 1 January 2016 it has been mandatory that MAAs for the DCP are submitted in eCTD format. The latest requirement that came into force in January 2018 was for the MAAs via MRP, requiring that all these submissions are done electronically as well. This requirement includes Repeat Use Procedures (RUP) and duplicate submissions of previous DCP or MRP. It is also important to mention, that since January 2013 it has been a requirement that all eCTD submissions are sent using dedicated submission channels. What new changes are coming into force in 2018? L. G. As of 1 January 2018, the use of eCTD format will be obligatory for all regulatory submissions of medicinal products authorised via DCP or MRP. This includes all submission types such as variations, renewals, PSURs, etc. In order to allow sufficient time for all concerned parties to implement these changes, a longer timeline has been given. What is also important is that no baseline submissions are required, however, a baseline submission of module 3 is recommended. How about National Procedures? Are there any regulatory changes to be expected in these types of procedures and submissions? L. G. Actually, the eCTD submissions for the MAAs via National Procedure (NP) should have come into force more or less at the same time as the new requirements for the DCP and MRP submissions. However, this requirement has been excluded from the eSubmission Roadmap, that I mentioned previously. The responsibility in regards to the requirements for the NP submissions has been left to the national competent authorities. We may predict that many national authorities will still require eSubmission in eCTD format for the NPs. The implementation period for such national requirement should be at least 12 months. From what we see now, some authorities have already announced such national requirement, therefore, sooner or later, we may expect all others to follow their lead. What does the EMA seek by requiring eCTD format for most of the regulatory submissions? L. G. The main aim of authorities is to harmonize the processes and the content, as well as to increase the efficiency of work by eliminating the large amounts of paper documentation and enabling electronic collaborative processes. Electronic submissions will simplify such processes as reviewing data, approving new medicinal products and monitoring them after the marketing authorization is granted. Also, transparency should be increased, and data and work repetition avoided. One of the most important things to mention, is that this update will significantly reduce time for all parties involved and eventually will lead the whole pharmaceutical market to a modern and efficient working environment. What are the major issues or challenges related to these requirements? L. G. First of all, the Marketing Authorization Holders should comply with indicated timelines, baseline preparations, document management system update. Another challenge may be the implementation and training of Regulatory Affairs staff on the new software for eCTD compilation, especially for the pharmaceutical companies which have not used it before. Of course, another solution for this is to outsource these services to CROs. If companies are already outsourcing regulatory activities, they need to be sure that the service provider will be able to meet the deadlines. I believe it is going to be an issue for smaller companies with fewer resources and less technology. What is your opinion in general regarding the eCTD submissions? Will these new requirements reduce work for Regulatory Affairs Specialists? Is it going to be hard to adapt to this changing environment? L. G. eCTD format helps to make the medicinal product life cycle more efficient. This facilitates the quality assurance of regulatory processes. It means that after the implementation period, it is going to be easier for both, authorities and regulatory affairs personnel to coordinate all procedures. In my opinion, the work efficiency will be increased significantly, since regulators will be able to search data easily, implement version control and rapid updates, without wasting time on lot of manual work. Since our team has been working with dossiers in eCTD format for more than 5 years now, I do not see any major issues. What I think should be emphasized, especially for the pharmaceutical companies, is that the time now for preparation in order to comply with the requirements. How is Biomapas Regulatory Affairs Department preparing for the upcoming changes? L. G. As mentioned, we have highly-experienced staff with a long-standing experience with eCTD, so the upcoming year is not going to be a huge challenge for us. Of course, we receive many more queries related to paper or NeeS format transfer compared to eCTD, so the only thing that may change for us would be an increase of such kind of projects, but I am absolutely sure that we are ready for this!